Melissa Gibson was not born in a stable … but almost! Her life began in Lake Geneva, Wisconsin where she spent her earliest years as the oldest child in a family of horsemen at the world famous Heritage Hills Arabian Farm. Every aspect of the horse industry, from broodmare management, foal handling, training and showing, has touched her personal and career lives and influenced her ideals. She attended the University of Colorado and then graduated with Recognition from Bel-Rea Institute of Animal Technology, where she developed, created and managed their Equine Volunteer Program. Her internship at the Littleton Equine Medical Center included priceless time assisting Dr. G. Marvin Beeman (“Form to Function”) and Dr. Terri D. Swanson. At the Elkhorn Veterinary Clinic in Wisconsin she worked as a large animal technician, while continuing to hone her skills as an Equine Bodywork specialist. Adding new modalities and taking optimum care of each of her equine clients keeps Melissa Gibson busy year around throughout North America. I'm Theresa, I live in southeast WI. Am a mom to one wonderful 21 year old son. Found my soulmate, Mike, and we are celebrating our 30th anniversary. We have a 3 year old black lab who's name is Druddigon (he's a little spoiled!). Love reading, sewing, crafting and spending time with my family. Our son was diagnosed with an Autism Spectrum Disorder when he was young. We've done natural care with him since he was little and he's doing extremely well. When we found dōTERRA we realized the difference in quality and haven't looked back since. Our son came to me after we were purchasing for about a year and he said "we should teach classes and help others like the oils have helped our family". How could we say no to that? So we are teaching classes and educating others on how to use these precious oils and products. I have created Empower Natural because I have a passion for learning, educating and helping others along their essential oil journey. I share free tips and resources for others to build upon their essential oil knowledge. Innersongs offers a vast array of spiritual experiences ranging from intuitive life drawings, communication with Spirit Loved Ones and animal friends, Horse Wisdom healing and the mystical power of crystals in jewelry. 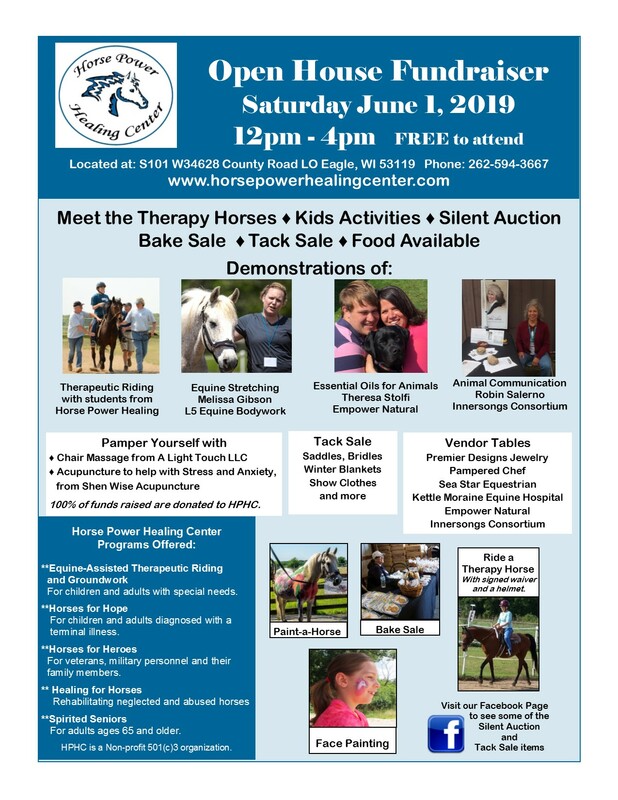 Copyright © 2019 Horse Power Healing Center, Inc.